In 2013, Sony-RCA produced two CDs dedicated to Fabrizio von Arx; one featuring Bruch’s concerto, the Carmen Fantasy and the Introduction and Tarantella of Sarasate, with the Prague Symphony Orchestra, as well as two Suites for violin solo of Bach; the second, devoted to “French Impressionists” with sonatas of the French repertoire performed with Julien Quentin at the piano. His débuts, at age 16, with the RAI orchestra of Naples, propelled him into a frenzy of musical activities at a national and international level. Ever since, he is regularly invited to perform in Concert Series such as the Musical Evenings of Milano, the Scarlatti Association in Naples, the Ravenna Festival, the RadioRAI 3 « Concerti del Quirinale » in Rome, the Autumn Festival in Como, the Cité de la Musique in Paris, the Festival of Bellerive, the Series «Grands interprêtes» in Neuchâtel, the Tonhalle in Zurich, Wigmore Hall in London, the WienerSaal in Salzburg, and the Philharmonic of Berlin. He performs with many orchestras including the Chamber Orchestra of Prague, the Orchestra of Padua and Venetia, the Berliner Symphoniker, the Moscow Soloists, the Japan Royal Chamber Orchestra, the Symphonishes Orchester of Zurich, and under such famed conductors as Franco Petracchi, Alexander Vedernikov, Shunsaku Tsutsumi, Yuri Bashmet, Peter Maag, Lior Shambadal et Christian Benda. He has also toured the United States, France, Germany, Belgium, China and Switzerland. His discography includes the recording of the complete compositions of S. Prokofiev for violin and piano (in duet with Antonio Valentino) issued by “Nuova Era.” Equally noteworthy is his long and fruitful collaboration with Bruno Canino, a pianist with whom he has recorded Schumann’s Sonatas for the label Dynamic, a recording which received five stars from the magazine “Musica”. 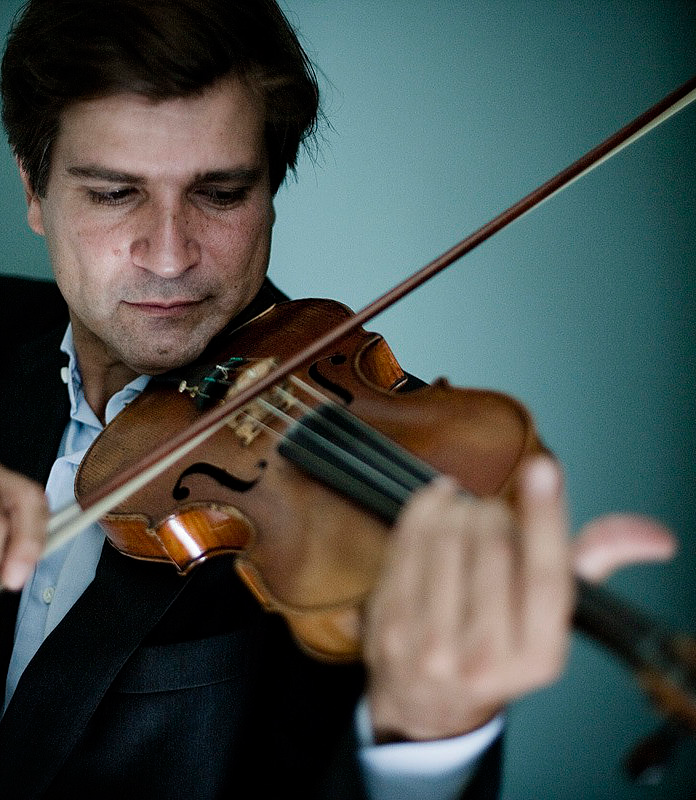 Combining a Swiss citizenship with a Neapolitan background, Fabrizio von Arx started his violin studies at age five, under the guidance of G. Leone. A graduate from the San Pietro a Majella Conservatory in Naples, he wins early on the Vittorio Veneto Competition, as well as other national competitions for young talents. He further refines his skills in Geneva where he earns the First Prize of the virtuosity diploma with Corrado Romano; followed by the Artist Prize at the University of Indiana Music School in Bloomington, United States, under Franco Gulli and Nelli Skolnikova. He also worked in Berlin with Ruggiro Ricci and in Cremona, with Salvatore Accardo. Fabrizio von Arz plays on a 1754 violin by G.B Guadagnini.